Now we know everyone’s all excited and hyped up for the premiere of Fruits Basket TODAY, so while waiting for the 1st episode to drop let’s just allow some more good news to sink in, shall we? For fans of the Mabudachi Trio, rejoice! 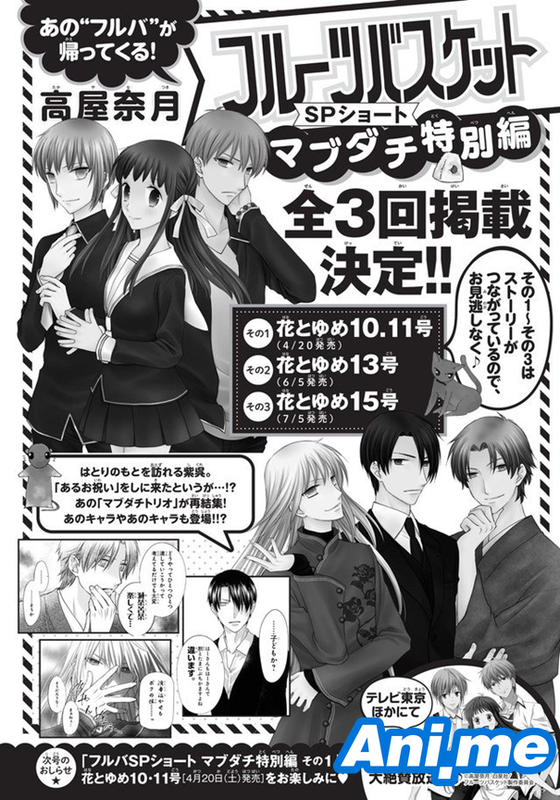 It was announced in Hakusensha’s Hana to Yume magazine that the three oldest cursed Somas—Hatori, Shigure, and Ayame—will be getting their own one-shot series! The new story will be divided into three chapters, with the first to be bundled with Hana to Yume’s 10th& 11th issues which will ship out on April 20. The 2nd chapter will ship with the 13th issue on June 5, and the third will be bundled with the 15th issue on July 5. The announcement in Hana to Yume (pictured above) describes the upcoming one-shot as such: “Shigure visits Hatori’s house. He says he came to do ‘a celebration’…! ?” It was further teased that other characters will be appearing in the one-shot as well. As you very well know by now, an all-new adaptation is set to premier today, April 5, in Japan. 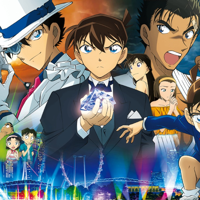 The anime, which features an all-new staff and cast, has the special blessing of creator Natsuki Takaya herself, who has long opposed any plan to re-adapt her work. The new Furuba anime is set to adapt the entire manga series and could possibly run for more than one season. So, are you excited to watch the first episode? You can stream the series legally in Crunchyroll and FunimationNow. Prepare for all the feels, get out your box of tissues (for when you just start crying ‘cause you know, its been 18 years!!) and wait for the first episode to drop. Happy watching!